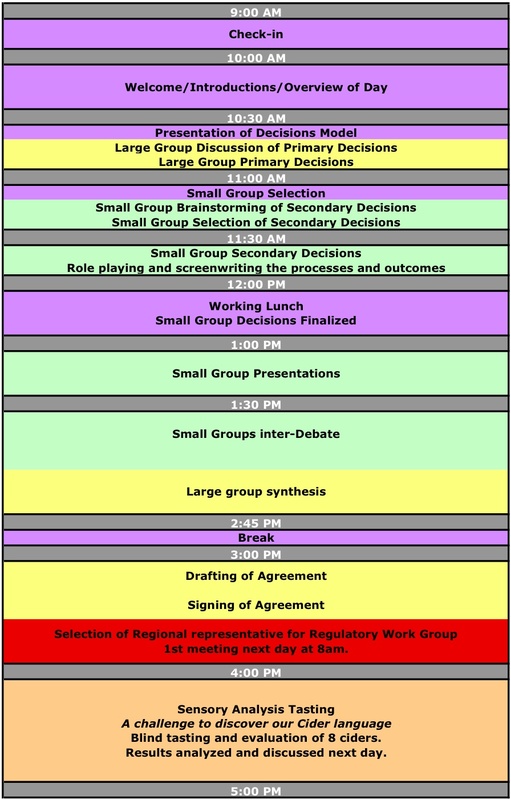 Schedule below lays out general time-line for regulation discussion. Some portions may take longer than others and a final agreement may or may not be created and signed (hopefully we can all agree on). However, selection of a Working Group to carry on the discussion is pivotal.